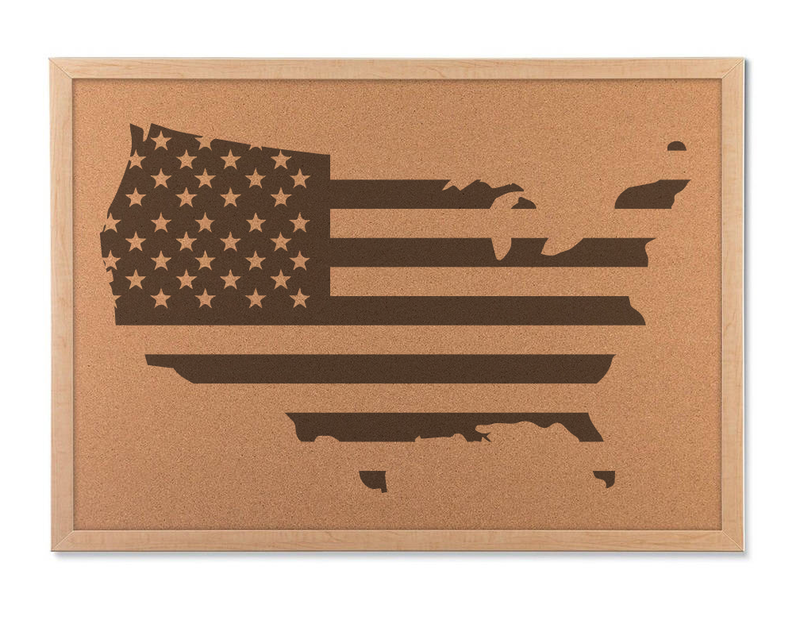 A USA cork board travel map that adds to your Americana home decor with style. This USA Flag Map makes a great way to show off your patriotic pride this summer. Celebrate Memorial Day or the 4th of July with style. These cork USA maps also compliment your Americana decor year round and would look great in an office!